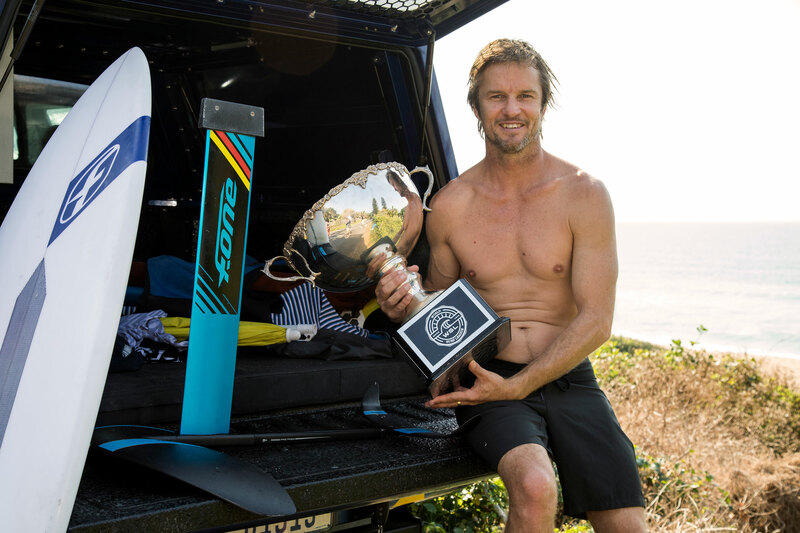 On the heel of his win at Nazare a few weeks back and his 4th place finish at Jaws, here is a great interview of Grant “Twiggy” Baker by The Kiteboarder / Brendan Richards, with a focus on his passion for kitesurfing. Twig loves the ocean, no matter what’s under his feet, with a special love at the moment for surf foiling. You can read the full interview here. We are very fortunate to have him on the foil team and a part of the F-One family. He embodies what we love about out sports. If you all but casually follow the going-ons of the surf world, you’ve probably heard of grant ‘twiggy’ baker, a name twice scrawled on the top of the scoreboard at mavericks, covers of magazines and printed across ginormous award checks for xxl waves deemed worthy. While twiggy started his big wave career relatively late at the age of 32, few people are aware that before he dominated the world of professional big wave surfing, he was a professional kiteboarder in the early days of the sport. Universally respected by his peers, grant ‘twiggy’ baker exudes a professional intensity countered by his laid-back sense of humor. With the build of a well-traveled waterman capable of paddling into moving mountains, when asked about where the name twiggy came from, he laughs, “i was a skinny little kid with mean friends.” From the early days of kitesurfing to the high stakes arena of big wave surfing, getting into foilsurfing has brought twiggy full circle and connected him with f-one’s kitesurfing team in order to complete the waterman cycle. Most of the early kiteboarders were crossovers from windsurfing. How did you get your start in kiteboarding? I started kiteboarding in South Africa. We began with regular foil kites with skis and snowboards on land; we have perfect dunes for that. So, we actually did it on land before water, and started on the beaches with skis and a snowboard I had with a special bottom for that. Then when I got an original Wipika 2-line kite I switched onto the water. This was probably the late 90s, maybe ‘98 or ‘99. From there I pretty much stopped surfing for a couple of years and kiteboarding was my main focus. Initially I started kiting on a surfboard in waves. That was what we focused on at first but soon after I started with a twin tip. I never used boots or a full wakeboard, but we used twin tips to do tricks and ride waves at the same time. That lasted for a few years and then we eventually shifted back to surfboards with straps; I pretty much saw the whole revolution, it was really exciting. I was probably kiting flat out for 4-5 years and it was only when I won Mavericks for the first time in 2006 that I focused back on surfing again. These days I probably spend half my time surfing and half kiting. Most people know you as a professional big wave surfer, but before that you competed on a kiteboarding tour. How did that come about? I came in 2nd on the KPWT in 2003 and I did a few of the waveriding stops around the same time as well. Competition back then was all about dangling and how many spins you could do and deadmans and stuff. When the freestyle tour switched to wakesyle we tried to keep up, but between injuries and the new kids it was tough. I wouldn’t consider myself really a professional at that point, Wipika paid me to go on the tour with a travel budget, but back then I was working for Billabong. My aunt, Cheron Kraak, had the distribution rights for South Africa and I went to work in what became the family business (Editor’s Note: research on Cheron Kraak reveals a self-made empire builder and legend in the South African surf industry). During that time we were building Billabong, but I would get time off to surf and do what I needed, so it was kind of a half sponsorship. 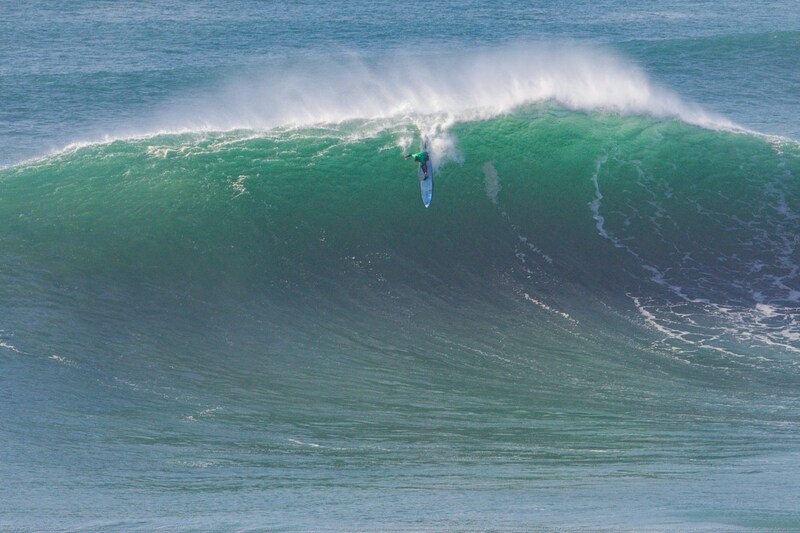 I worked for my aunt until 2006 when I won the Mavericks contest, and by that point I had become much more focused on professional big wave surfing. How did the transition from kiteboarding into big wave surfing occur? I was kiteboarding at about the same time that the tow revolution got its start. In kitesurfing, the speed, the straps and the board are similar to tow surfing. Probably because of my kitesurfing I was able to slip into tow surfing quite easily. Initially, I towed into waves no more than three times a year but between 2004 and 2014 I was tow surfing flat out; those were the golden years. We started to tow because of Dungeons and how big and windy it would get, so it was a natural progression to follow what the guys were doing in Hawaii and adapt it to the Cape waters. I won a couple XXL awards, and I would say kiteboarding helped that for sure. Kiteboarding teaches you to handle speed, gives you quick muscle reflexes and helps with conditioning, so I’d say kiteboarding definitely helped my early surfing and vice versa. You’ve won Mavericks twice, snagged your share of XXL awards and just a little over a year ago ascended the crown as the 2016/17 WSL Big Wave Champion, yet a survey of the big wave tour reveals a chaotic landscape that poses challenges far beyond risking your life for top performances. It’s a small pond; at times we had had some unscrupulous characters come into the sport as administrators who didn’t have the best interest of the surfers at heart. Instead their focus was on lining their own pockets and this caused the sport some issues in the past 20 years and allowed it not to grow and flourish as it should have. This in turn has made it difficult for us to garner sponsorships on both the personal and contest fronts. Saying this though, we have had an epic time doing what we love and helping to grow the sport to the level it’s at now—I’ve got no complaints about the life it’s given me and my family. F-One has brought you back into the world of kiteboarding. How did that connection come about? I am good friends with the F-One distributor for South Africa—Bruce Chrystal—he’s a classic guy and we go way back. 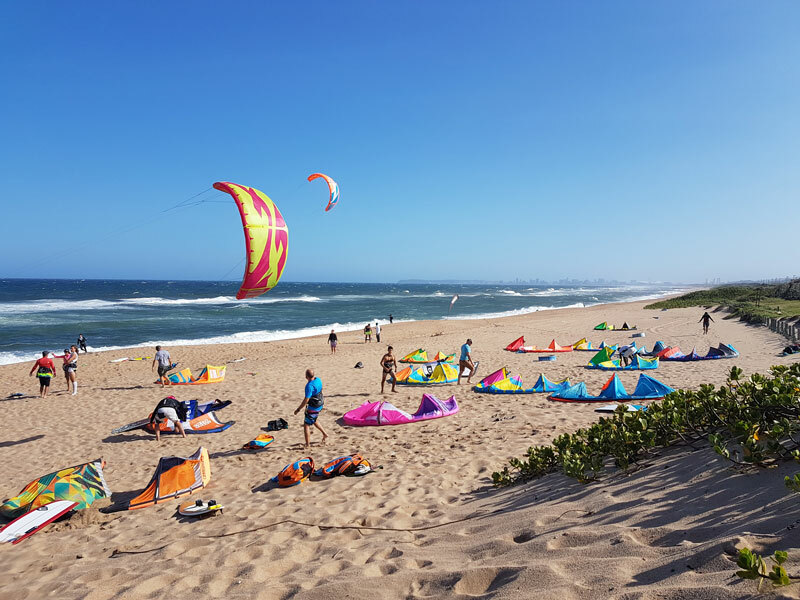 The kite community in Durban where I’m from is small and when I saw foilsurfing was a thing, I wanted to give it a try and Bruce put me in contact with F-One. I’m one of those guys who don’t mind trying new sports; I’m up for anything that is fun in the ocean. I’d been sponsored by a few other companies in the early days but I knew F-One makes some of the best kites on the market and they agreed to send me some kites and foils for testing. We’ve been working together for over a year and I’ve shaped some prototype boards for their foilsurfing lineup. They’re a family run business and it’s become a great partnership. We got the chance to ride one of your prototype foilboards last year in Dakhla. What’s the story behind your custom board building business? It’s called Twig Surfboards. We do step ups and guns for big wave surfing, but I’ve been getting into foilboards as well. Lately, I’ve been working on a board you can surf and foilsurf, which is ideal for traveling and having something that works in all conditions. Twig Surfboards has evolved into a network of shapers around the world; each shaper has the files for my three models—I send them the files and they make me a quiver for when I visit. I test the boards and see what works, then give feedback that goes back into files and then back to the shapers—it’s a very fluid partnership and is working well. If someone wants a board they get in touch with me on my website, I crunch their height and weight and I recommend the right shape; the file then gets sent to a local shaper in their area. I could build everything here and ship boards from South Africa, but it’s good to utilize local shapers. We’ve got Australia covered with top shapers as well as Europe and Hawaii. It’s good to support local shapers and the big upside is that I rarely have to travel with surfboards anymore because working with shapers helps me put boards all over the world. The kitesurfing industry has long been awaiting the point when professional surfers embrace kites, yet that’s never really happened. Now it seems like every day we are watching another high-profile surfer jump on the foilsurfing bandwagon. How do you explain surfers’ willingness to try foilsurfing but not kitesurfing? Kitesurfing has always been more oriented to the world of windsurfers. Originally it was the professional windsurfers getting into kitesurfing. I always expected more surfers to get into kiteboarding, but it just never really happened. I can’t think of any real WCT surfers except Kohl Christensen who is another big wave surfer that also kitesurfs. Generally, surfers don’t understand wind; they hate it unless it’s offshore. 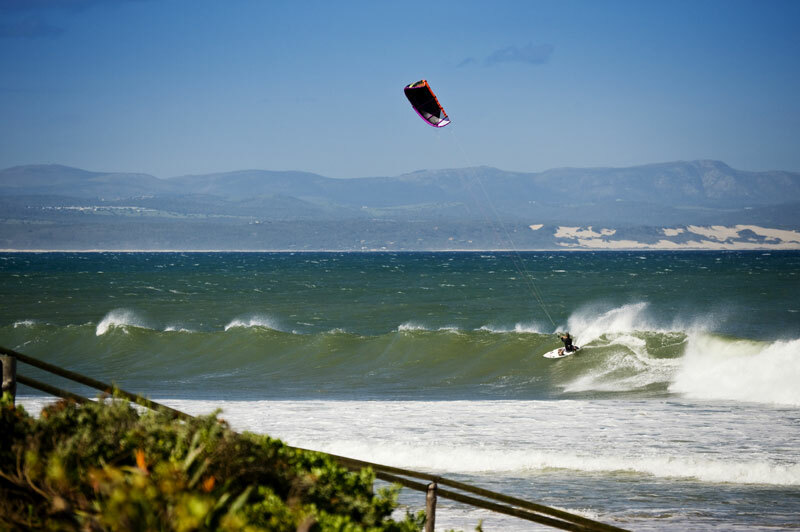 I started kitesurfing when I was working for Billabong—I had to be in South Africa in September and October and there were no waves, but it was windy. I saw the sport early on and got into it mostly because I was stuck working. Most surfers won’t embrace the wind but foilsurfing is different; it gives you the rush of big wave surfing. When I’m on a foil it makes a 2-foot wave feel like a 20-footer. Big wave guys made it cool and now it’s filtering to smaller waves and every week you see a new rider from the WCT trying out a foil and ripping it up. Really, foilsurfing is just quite a bit more similar to surfing than kitesurfing. At the advent of strapless kitesurfing, the debate raged between the old-school strapped riders and the new-school strapless riders. You don’t see much strapped kitesurfing featured in the media today— what are your thoughts? For any sport, you’re going to use the equipment that the conditions dictate. 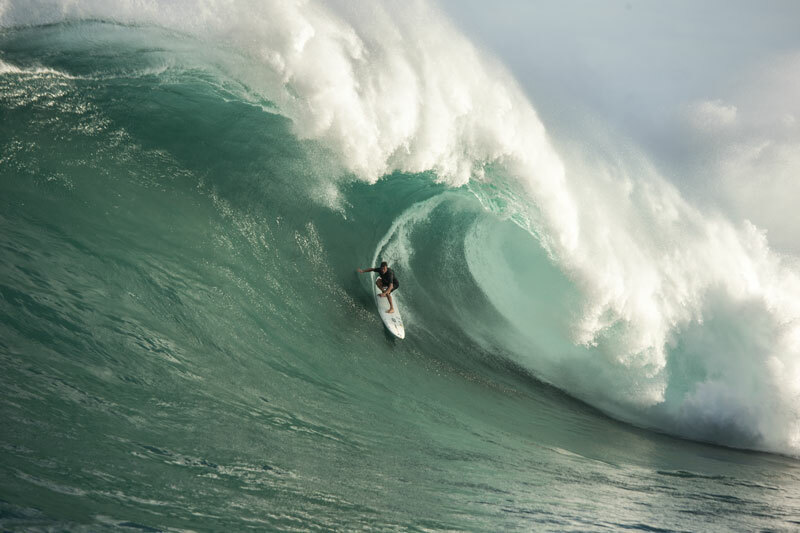 You don’t paddle out on a SUP when there’s 10-foot barrels—it’s just not the optimal choice—just as you don’t ride a shortboard in giant waves. If the wind is super strong or the waves are super big I’ll use straps, it gives me more control, but most of the time I’ll kite strapless. Somedays straps make the riding better and there’s other days when riding strapless makes riding better. For me the strapped thing is no different than big wave surfing, it’s about choosing the right equipment for the day and just doing what you have to do. What’s the next chapter in the Twiggy playbook? Durban is home and it’s my favorite place to kite. It’s never gone on the radar as a kite destination, but it’s amazing from August through November. We get wind from the left and right and there’s always a bit of swell with long open runs for insane downwinders. My other favorite kite spots are on Hawaii’s North Shore. As far as plans, there’s a lot of good spots in my back pocket and now that I’m teamed up with F-One and my big wave career is slowing down, it’d be great to explore some of these places that I know are epic with the rest of the F-One team. Overall, I’m just really stoked to be getting back into kitesurfing. Working with F-One reinvigorated my kiting life, I’m super thankful for their support on both the foil and kiting side of things.